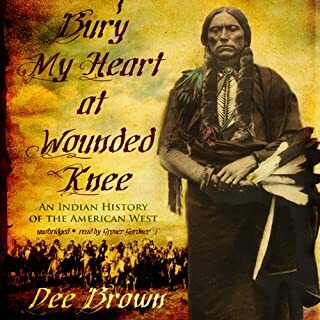 Dee Brown's eloquent, meticulously documented account of the systematic destruction of the American Indian during the second half of the 19th century uses council records, autobiographies, and firsthand descriptions. Brown allows great chiefs and warriors of the Dakota, Ute, Sioux, Cheyenne, and other tribes to tell us in their own words of the battles, massacres, and broken treaties that finally left them demoralized and defeated. 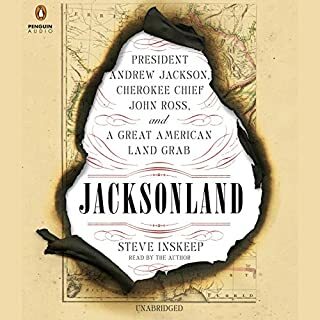 Jacksonland is the thrilling narrative history of two men - President Andrew Jackson and Cherokee chief John Ross - who led their respective nations at a crossroads of American history. Five decades after the Revolutionary War, the United States approached a constitutional crisis. At its center stood two former military comrades locked in a struggle that tested the boundaries of our fledgling democracy. Jacksonland is their story. 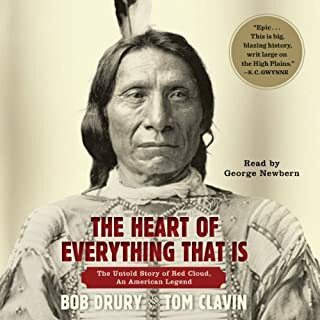 The great Oglala Sioux chief Red Cloud was the only Plains Indian to defeat the United States Army in a war, forcing the American government to sue for peace in a conflict named for him. At the peak of their chief’s powers, the Sioux could claim control of one-fifth of the contiguous United States. But unlike Sitting Bull, Crazy Horse, or Geronimo, the fog of history has left Red Cloud strangely obscured. Now, thanks to painstaking research by two award-winning authors, his incredible story can finally be told. 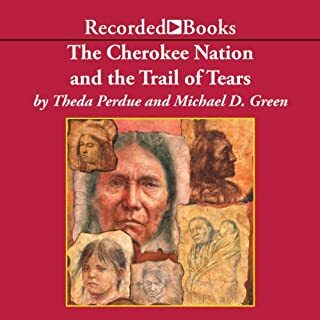 Acclaimed historians Theda Perdue and Michael D. Green paint a moving portrait of the infamous Trail of Tears. Despite protests from statesmen like Davy Crockett, Daniel Webster, and Henry Clay, a dubious 1838 treaty drove 17,000 mostly Christian Cherokee from their lush Appalachian homeland to barren plains beyond the Mississippi. For 4,000, this brutal forced march lead only to their deaths. The "Five Civilized Tribes" are among the best known Native American groups in American history, and they were even celebrated by contemporary Americans for their abilities to adapt to white culture. 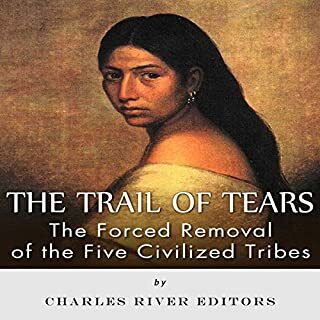 But tragically, they are also well known tribes due to the trials and tribulations they suffered by being forcibly moved west along the "Trail of Tears". One of the darkest and cruelest chapters in the history of the United States occurred when the nation’s young government decided to remove the native peoples from their lands in the name of profit. Having helped settlers for hundreds of years, five Native American tribes found it increasingly more difficult to relate to, and trust, the country that had once acted as their allies. The native peoples had fought alongside the Americans to gain freedom from England, the nation that the colonists deemed oppressive and unfair. Most of the world remembers Crazy Horse as a peerless warrior who brought the U.S. Army to its knees at the Battle of Little Bighorn. But to his fellow Lakota Indians, he was a dutiful son and humble fighting man who, with valor, spirit, respect, and unparalleled leadership, fought for his people's land, livelihood, and honor. In this fascinating biography, Joseph Marshall, himself a Lakota Indian, creates a vibrant portrait of the man, his times, and his legacy. From the "Trail of Tears" to Wounded Knee and Little Bighorn, the narrative of American history is incomplete without the inclusion of the Native Americans that lived on the continent before European settlers arrived in the 16th and 17th centuries. Since the first contact between natives and settlers, tribes like the Sioux, Cherokee, and Navajo have both fascinated and perplexed outsiders with their history, language, and culture. Oliver Otis Howard thought he was a man of destiny. Chosen to lead the Freedmen's Bureau after the Civil War, the Union Army general was entrusted with the era's most crucial task: helping millions of former slaves claim the rights of citizens. He was energized by the belief that abolition and Reconstruction, the country's great struggles for liberty and equality, were God's plan for himself and the nation. In a real-life version of Little Big Man comes Indian captive narrative of Herman Lehmann. He was captured as a boy in 1870 and lived for nine years among the Apaches and Comanches. Long considered one of the best captivity stories from the period, Lehmann came to love the people and the life. Only through the gentle persuasion of famed Comanche chief, Quanah Parker, was Lehmann convinced to remain with his white family once he was returned to them. With the end of the Civil War, the nation recommenced its expansion onto traditional Indian tribal lands, setting off a wide-ranging conflict that would last more than three decades. In an exploration of the wars and negotiations that destroyed tribal ways of life even as they made possible the emergence of the modern United States, Peter Cozzens gives us both sides in comprehensive and singularly intimate detail. Blood Moon is the story of the century-long blood feud between two rival Cherokee chiefs from the early years of the United States through the infamous Trail of Tears and into the Civil War. While little remembered today, their mutual hatred shaped the tragic history of the tribe far more than anyone, even the reviled President Andrew Jackson, ever did. The tragedy of our Indian policies demands reexamination immediately - not only because they make the lives of millions of American citizens harder and more dangerous - but also because they represent a microcosm of everything that has gone wrong with modern liberalism. They are the result of decades of politicians and bureaucrats showering a victimized people with money and cultural sensitivity instead of what they truly need-the education, the legal protections, and the autonomy to improve their own situation. Empire of the Summer Moon spans two astonishing stories. The first traces the rise and fall of the Comanches, the most powerful Indian tribe in American history. The second entails one of the most remarkable narratives ever to come out of the Old West: the epic saga of the pioneer woman Cynthia Ann Parker and her mixed-blood son, Quanah, who became the last and greatest chief of the Comanches. Adnan leads a weary existence as a bookshop owner in modern-day, war-torn Baghdad, where bombings, corruption, and assault are everyday occurrences and the struggle to survive has suffocated the joy out of life for most. But when he begins to clean out his bookshop of 40 years to leave his city in search of somewhere safer, he comes across the story of Ali, the Gardener of Baghdad. Most histories of the Cherokee nation focus on its encounters with Europeans, its conflicts with the U.S. government, and its expulsion from its lands during the Trail of Tears. This work, however, traces the origins of the Cherokee people to the third century B.C.E. and follows their migrations through the Americas to their homeland in the lower Appalachian Mountains. When Chad Smith became Principal Chief, the Cherokee Nation was a chaotic and dysfunctional entity. By the end of his tenure, 12 years later, the Nation had grown its assets from $150 million to $1.2 billion, increased business profits 2,000 percent, created 6,000 jobs, and dramatically advanced its education, language, and cultural preservation programs. Leadership Lessons from the Cherokee Nation offers a holistic approach to the subject - how to become a powerful leader inside and direct your energy outward to accomplish any goal you set your mind to. Worth listening to. Very detailed. A sixth-generation North Carolinian, highly-acclaimed author John Ehle grew up on former Cherokee hunting grounds. His experience as an accomplished novelist, combined with his extensive, meticulous research, culminates in this moving tragedy rich with historical detail. The Cherokee are a proud, ancient civilization. For hundreds of years they believed themselves to be the "Principle People" residing at the center of the earth. But by the 18th century, some of their leaders believed it was necessary to adapt to European ways in order to survive. Those chiefs sealed the fate of their tribes in 1875 when they signed a treaty relinquishing their land east of the Mississippi in return for promises of wealth and better land. 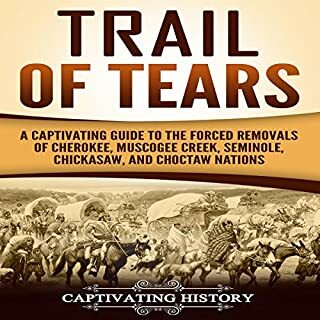 The U.S. government used the treaty to justify the eviction of the Cherokee nation in an exodus that the Cherokee will forever remember as the "trail where they cried". John McDonough narrates with thoughtful gravity. The heroism and nobility of the Cherokee shine through this intricate story of American politics, ambition, and greed. an fact it was more about the actions and behavior of a handful of people who should have stood up for the Cherokee, but betrayed their people for their own personal financial benefit. Very informative. Andrew Jackson was a villain, as I had supposed, but one enmeshed in a political climate such that he had no option - but he could have been less of one. John Ross was a calamity, and basically destroyed his own nation by his willful blindness and fundamental political rapacity. And the people and government of the state of Georgia - where part of my family lived - were evil. its just too much information. interesting at points but i think could've been condensed somewhat. If you could sum up Trail of Tears in three words, what would they be? What didn’t you like about John McDonough’s performance? The performance of Audible was horrible and left me Frustrated by having to start it all over again every time it stopped. It stopped every 5-10 minutes, sometimes more often. I got Audible because I have no time to read and wanted to be able to listen while I work. This makes it almost impossible. somewhat educational . . . . I would make it flow together in a easier to follow manner. What could John Ehle have done to make this a more enjoyable book for you? I am not sure. There had to be some much info to sift through and put together in a way that one not familiar with the history could follow. I could only listen in segments because of my driving days. So, sometimes, I found it difficult to resume the story because I could not keep all the characters straight. But I am glad I read it. It was an eye opener for the politics of what all sides went through in that part of our history. Too long since I finished it to remember. Sorry. 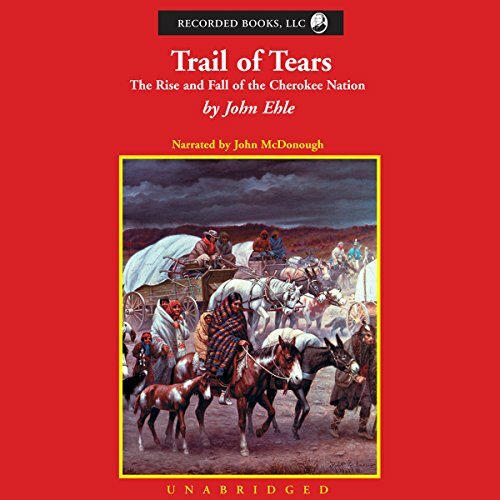 Do you think Trail of Tears needs a follow-up book? Why or why not? Not sure it would help. one of the candidates wants to build a wall to keep people from other countries out of the USA. Oh the irony.